“Being: New Photography 2018,” the latest exhibition in the Museum of Modern Art’s ongoing for up-and-coming photographers. “Being” is a gripping survey of how photographers today are dealing head-on with the knotty things that make us, us—the ways communities, politics, and systems influence various people’s identities, for better and worse. 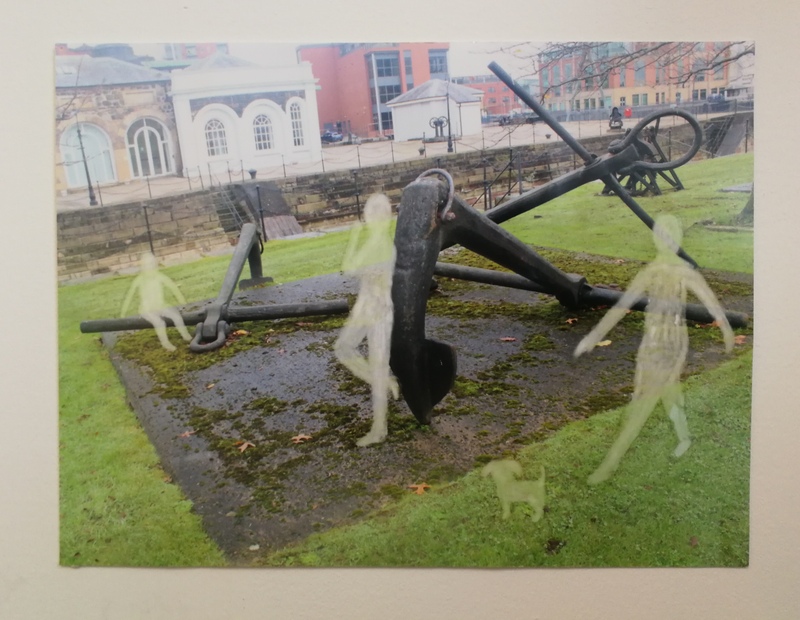 While being part of the Household Project, I have got an insight on the history of the Sailortown, as well as about its’ people. 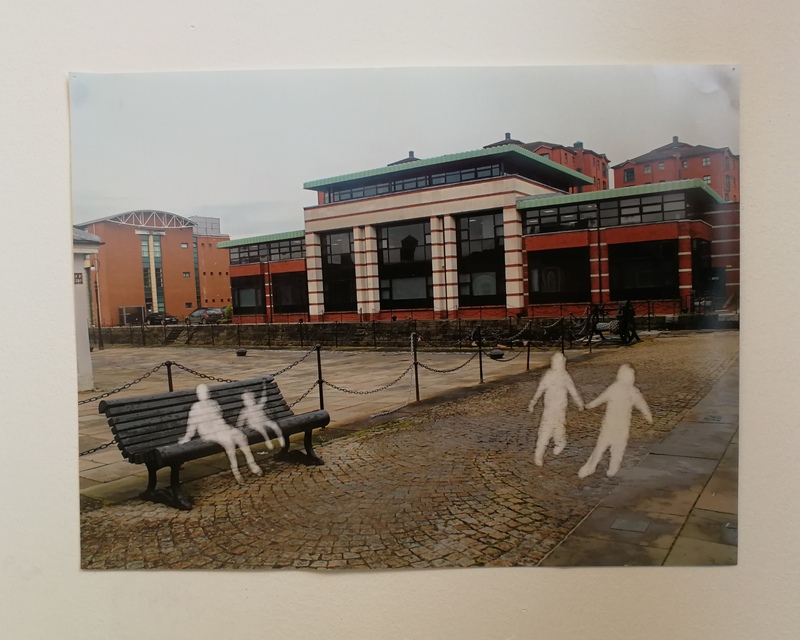 My art pieces are connected to Sailortown’s people. 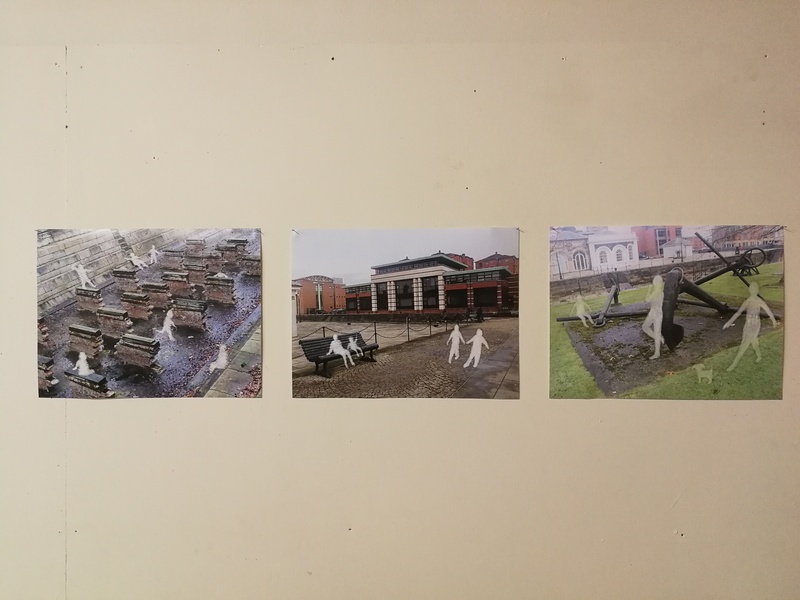 I have taken several photographs around Sailortown and enlarged them to an A4 size. These photographs were later worked on using nail varnish remover that included acetone 0n cotton buds. I have tried to create a ghostly effect of the people, as if they were light shadows from the past. The movements of these figures were very free and natural. The first two photographs were enlarged in a KODAK photo shop, while the third one was printed in Ink Monkey. Because of the difference, the nail varnish worked differently on the photographs. The ink from photographs from KODAK, rubbed off very quickly, creating almost a dissolved look. 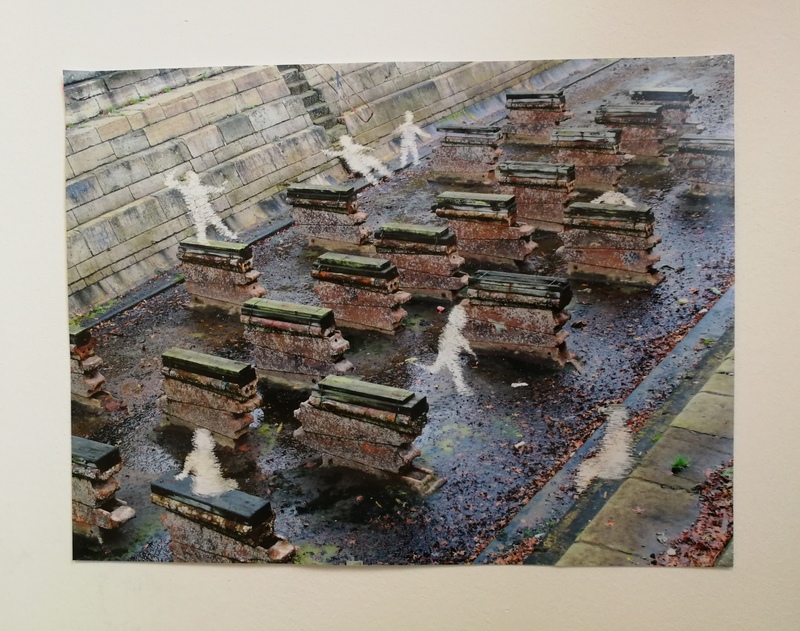 On the other hand, the ink on the photographs from Ink Monkey did not rub off that easily, therefore I had to use a little bit of force with cotton buds, in the end creating a more figure like silhouettes. AUSRINE SURATKEVICIUTE describes connection to history of people who do not exist in a place that still is where it used to be. The process also enabled significant difference in the resulting image. The figures in “Ink Monkey” print (on the right above) are alive, dancing. 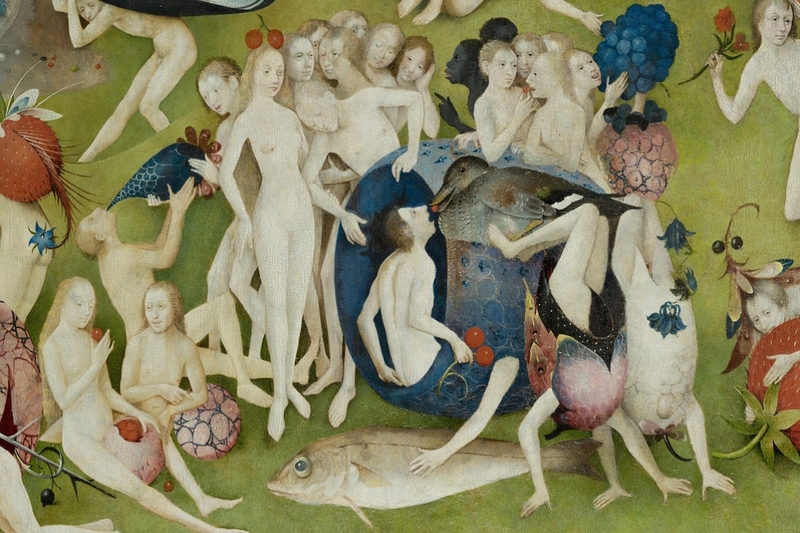 Like the souls in Hieronymous Bosch. Being is defined by gestures and moves, albeit virtual. Association with painting breathes softly over the fluffiness of grass next the determined definition of hard, shiny, static multi- coloured surface. This optical poetry somewhat disappears in direct viewing of photoprints displayed in a gallery, on the wall. I hail this young artist’s lyricism – so rare especially when connected to anthropological and anthropocentric subject. Yes, you can have social concern and be poetic about it… many 1920s European artists were good at that. I do not know whether the link is known to her, for it is in her work as her invention. The left image (Kodak print) is so cruelly removed from the whole of the actual, particular, place that it resumed existence as utterly independent from it. These details may be anywhere, anywhere where boats were repaired or built … the people now free to do relax around the remnants as if on holidays, or on a lunch break. Labour is burried under the remnants of the berth – people are lounging as if freedom has been at last theirs. Some, at the distant view became cutouts, as imprints in a prehistoric cave… slightly funerary … or perhaps that may be a purgatory? The grainy wet surrounding is on this Earth, but are they? The lines of the bench imprison the seated adult and a child as time does all our yesterdays. They cannot ever leave – not that they wish to… look how relaxed both are. The walking pair froze as if wary of making that fateful step into the imagined world. And then – the artist takes away all of this imagined “truth” by dry exact faithfull appearance of the real place. So hard is its clarity! No escape. That contrast between the real and dreamed up seems to be the ground of the visual thought. Like Italo’s Impossible City turn upside down… the city is real … the travellers are not. These three images in spite of their apparent clarity and simplicity are opened to free thought, if you are inclined to think about humanity, like Bosch did,inter alia. This entry was posted in essay and tagged nail varnish remover, photography. Bookmark the permalink.